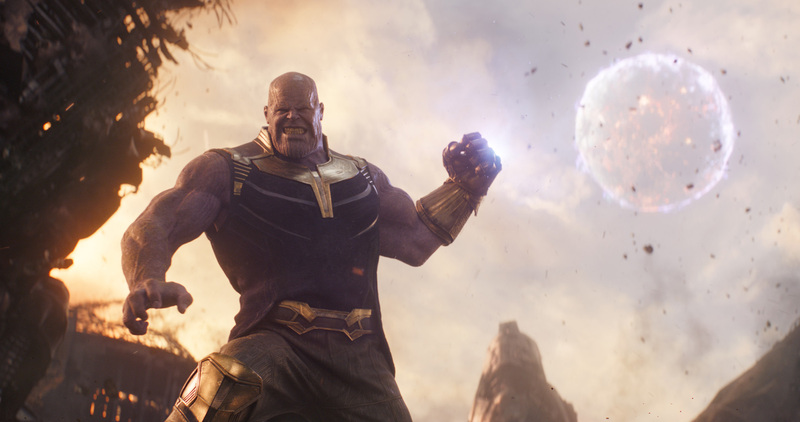 Should You See Avengers: Infinity War in IMAX 3D? At this point, it’s no question whether you should see “Avengers: Infinity War” or not. It is a must-see, not only for the fact that the MCU has been building up towards this film for the past decade. It’s also because it really is a badass film and if you’re not a Marvel fan just yet, “Avengers: Infinity War” may be the movie to convert you. What some moviegoers find themselves asking instead, is whether they should see “Avengers: Infinity War” in IMAX or not. The film has been marketed to be shot entirely with IMAX cameras, but what does that mean exactly for the audience, and is it worth that huge jump in ticket price from a regular cinema? IMAX cameras have already been used to shoot a lot of films in the past. Christopher Nolan has used IMAX cameras in “Dunkirk”, and Michael bay has also shot parts of “Transformers: The Last Knight” in IMAX 3D. However IMAX cameras are generally more expensive and more difficult for shooting, that’s why these are often used only for key sequences, such as the airport scene in “Captain America: Civil War”. The rest of the film are then reformatted for IMAX viewing. “Infinity War” directors Joe and Anthony Russo found a workaround by using the IMAX ARRI 65, which is more flexible and user-friendlier than traditional IMAX cameras. This allowed them to shoot the whole film with an IMAX framing in mind. This means that when you see “Avengers: Infinity War” in IMAX screens, what you see is also how the filmmakers envisioned the movie, and not the reformatted version. IMAX shows 26% more image than standard theaters. When you see “Avengers: Infinity War” in IMAX, you’ll literally be seeing more of the movie. I guess you could say that you get you’re money’s worth because paying more also means that you see more. “Avengers: Infinity War” brings together most of the heroes we’ve seen in the MCU so far, and along with it a diversity of old and new characters with varying sizes and heights. Thanos for instance is gigantic, not to mention Hulk, the Hulkbuster, the Black Order, and also a new gargantuan character I won’t spoil you about 😉 The larger, taller screens of IMAX works best for these characters, especially when you put them together with smaller ones like Rocket Racoon. So for the short answer, if you can afford it, then yep “Avengers: Infinity War” is a must-see in IMAX. There’s a huge price difference (almost twice in the cinema I checked), but in this case, the extra price also means you get to see more of the movie, so you’re really going to get your money’s worth. To some degree, “Infinity War” is also historic, given that it’s the first Hollywood film to be shot entirely with IMAX cameras. For a storyline this huge, it makes sense to see it in the biggest format there is. The Raid 2 breaks-in with a new Release Date!